It is with great pleasure to announce the School of Business and Economics 2017-2018 Teacher of the Year has been awarded to Senior Lecturer, Roger Woods! He is a third-time winner of this award, he was also selected as the 2013-2014 and 2016-2017 recipient! Every spring fourth-year students from the School of Business and Economics nominate the top three faculty members they believe are deserving of this award. The results from that survey are tallied, and the faculty members with the most nominations move on to the second round. The second survey goes out to the entire SBE student body. This time students are asked to select one faculty member they feel should be recognized as Teacher of the Year and also have the opportunity to share comments on why that individual is deserving. 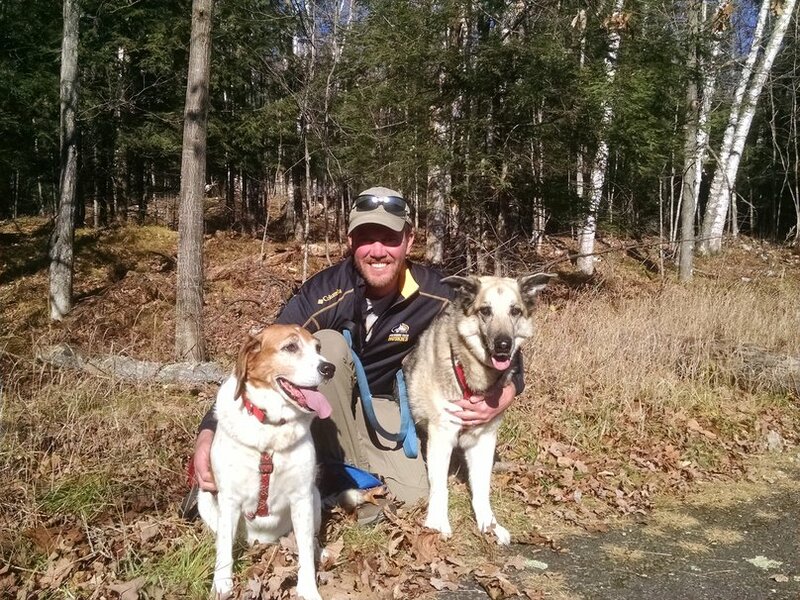 It is clear from the comments submitted by students, that Roger is a one-of-a-kind teacher. 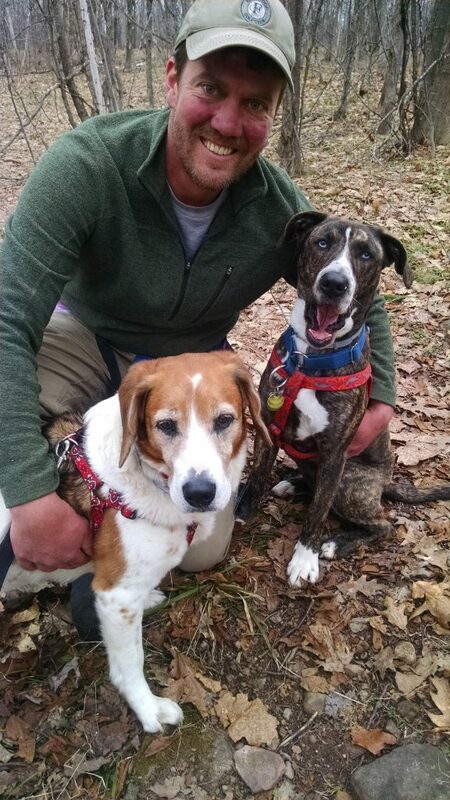 Below he is pictured with his girls, Lucy and Sage. It is with great pleasure to announce the School of Business and Economics 2016-2017 Teacher of the Year has been awarded to Senior Lecturer, Roger Woods! He is a second-time winner of this award, he was also selected as the 2013-2014 recipient! Every spring fourth-year students from the School of Business and Economics nominate three faculty members they believe are deserving of this award. The results from that survey are tallied, and the faculty members with the most nominations move on to the second round. The second survey goes out to the entire SBE student body. This time students are asked to select one faculty member they feel should be recognized as Teacher of the Year and also have the opportunity to share comments on why that individual is deserving. Our students had wonderful things to say about Roger, it is clear he is making a difference inside and outside his classroom. Congratulations to Roger! 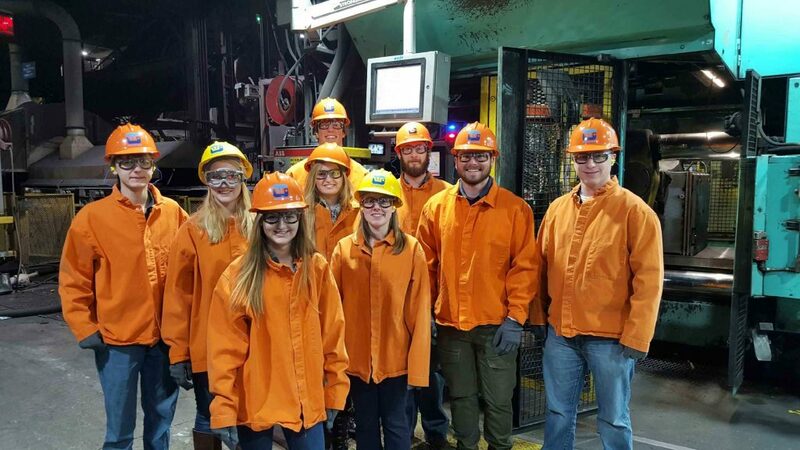 The American Society for Engineering Management (National) announced a new ASEM Student Chapter at Michigan Tech. The new student chapter at Tech has 15 student members including Kalli Hooper who will serve as the new national chapter president. Dana Johnson and Roger Woods will serve as their faculty advisors. The School of Business and Economics offers a BS degree in Engineering Management, which is the fastest growing program in their school. 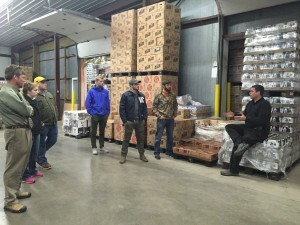 Operations and Supply Chain Management Students Visit Peterlin Distributing Co.
Students in Roger Woods’ OSM 3000 course have had the opportunity to tour Northern Hardwoods and Calumet Electronics to take their education outside the classroom. 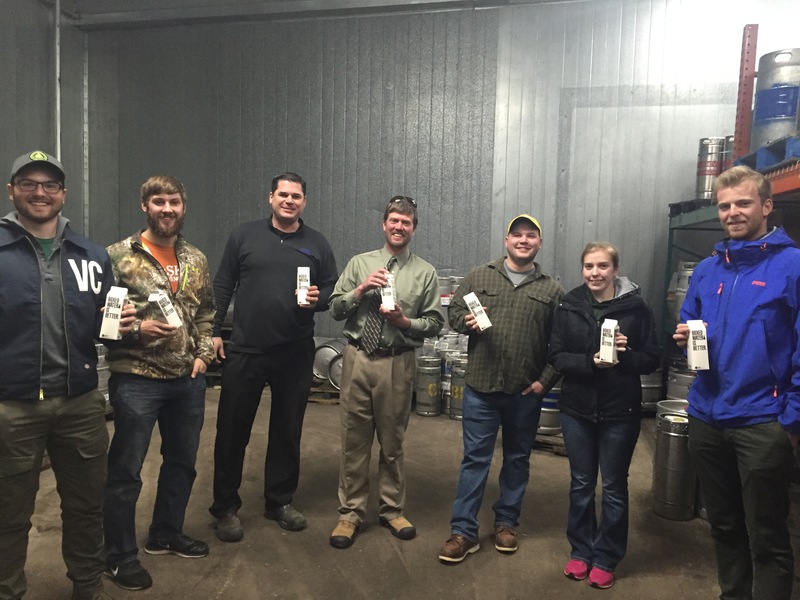 On Thursday, April 7 students met up at Peterlin Distributing Company in Calumet, Michigan to tour their wholesale warehouse. 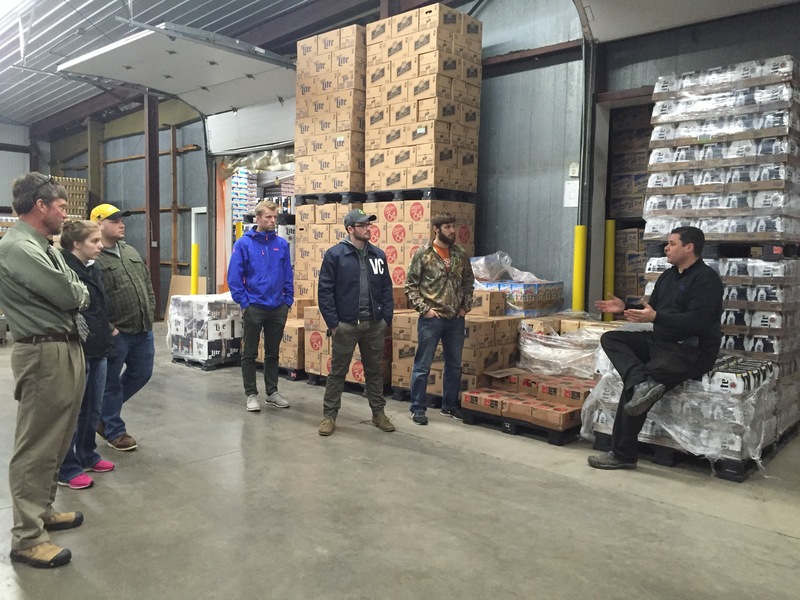 Vice President, Mark Almquist provided a behind the scenes look of the largest beer and wine distributor in the Upper Peninsula. Peterlin is one of 34 distributors in the nation to carry both Miller and Anheuser-Bush products, and has proudly been the main supplier to seven counties in the Upper Peninsula since 1939. 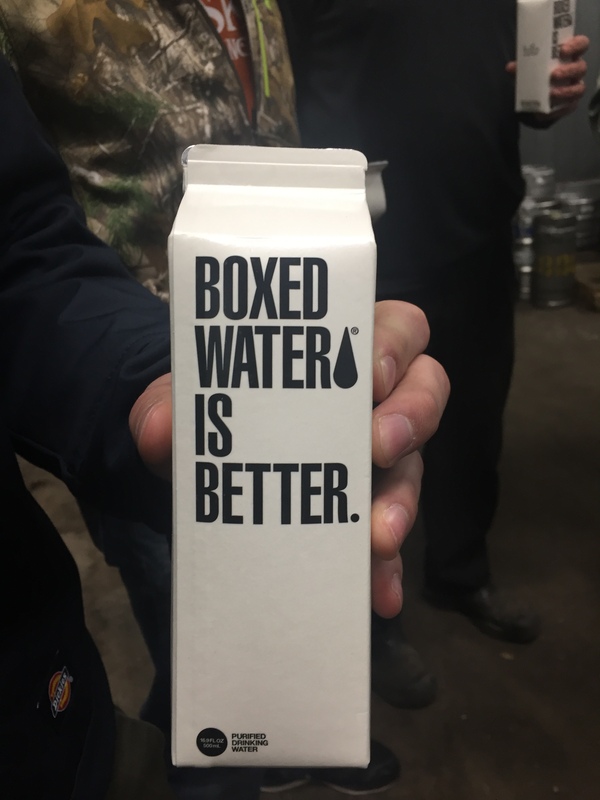 During the tour students learned about the stocking and shipping processes, how the stock is protected, how the facility meets heating and cooling standards and they even had the chance to sample a new product. Roger Woods inducted into Logger Athletics Hall of Fame in 2013. Five new members will be inducted into the University of Puget Sound Athletics Hall of Fame this fall, the Athletics Department proudly announced on Thursday. 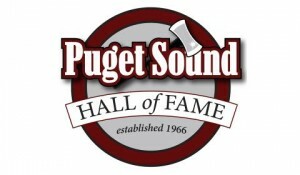 Craig Caskey (baseball), Dave Davis (cross country/track & field), Laura Grinstead (soccer), Erin Peterson (softball), and Roger Woods (swimming) will be enshrined as the Puget Sound Hall of Fame Class of 2013. Roger Woods is a Senior Lecturer in Operations Management in the School of Business and Economics at Michigan Tech. The five new members will be inducted and celebrated the weekend of Sep. 13-14, 2013. An induction ceremony and dinner will take place on Sep. 13 and the class will be celebrated again during the Logger football game on Sep. 14. The Loggers are hosting Chapman University at 1 p.m. in their season-opener. The Hall of Fame Class of 2013 is comprised entirely of former student-athletes. Caskey (’72) went on to pitch in the major leagues and still holds school records on the mound over 40 years after he threw his last pitch as a Logger. Peterson (’00) was an All-American catcher and still owns the home run record at Puget Sound. Grinstead (’01) was an All-American defender on the soccer pitch and led the Loggers to their first Northwest Conference title. Davis (’00) and Woods (’94) both earned individual national titles for the Loggers in their respective sports. Woods was a three-time NAIA national champion in the pool while Davis won the NCAA Division III cross country title in 1999 and was a three-time All-American. The five newest selections to the Hall of Fame span five different sports and represent all three eras of affiliation in Puget Sound Athletics history. The University of Puget Sound Athletic Hall of Fame was founded in 1966 to honor extraordinary individuals in the rich history of Logger Athletics. From 1966-76, 25 members were inducted into the prestigious Hall of Fame. From 1977-87, the Hall of Fame was dormant until then-Athletics Director Dr. Richard Ulrich revived the tradition. Since 1988, the Hall of Fame has inducted 76 new members for a total 101 student-athletes, coaches, administrators and contributors. More information about the Hall of Fame celebration will be available later this summer atwww.loggerathletics.com.